One of the most popular features at the Lindsborg Municipal Pool is “Thor’s Revenge” a 153’ long water slide. Other amenities include 2 diving boards at 5 and 10 feet and 6 lap swimming lanes. ** The Lindsborg Pool is closed for the season. We will re open on Saturday, May 25, 2019. 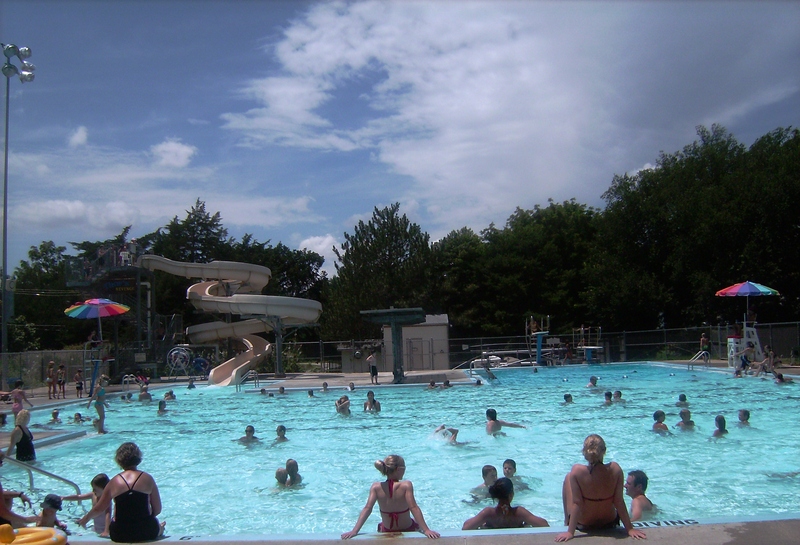 Municipal Pool hours are 1 p.m. to 7 p.m. Monday through Sunday. Adult Lap Swim is on Mondays, Wednesdays from 7:00 PM - 8:30 PM and Fridays from 7:00 PM to 8:00 PM. Private Parties can be arranged from 7:00 PM to 9:00 PM on Sundays, Tuesdays, Thursdays, and Saturdays and from 8:00 PM to 10:00 PM on Fridays. There are no Private Parties on Monday and Wednesday evenings. $150 for a two hour party. Full payment is required at time of reservation. For additional information contact City Hall at (785) 227-3355. Submit a Pool Party Reservation Request. with any questions. Thank you. Directly adjoining the pool is a kiddie pool featuring zero depth entry and water spouts. The kiddie pool is reserved for children 6 and under. 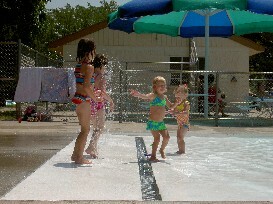 All children 8 and under need to be accompanied by a parent or adult while attending any activities at the pool. Also on site is a sand volleyball court that can be reserved for times outside of regular pool hours. A game bag with volleyball, horseshoes and other items can be checked out during regular pool hours.